First number indicating the number of pots. The +1 indicating whether it contains a hot plate or not. Wax pot melter WPM4+1 Featuring 4 melting pots and one hot plate. Adjustable temperatures per pot and the hotplate. Also available in WPM2+1, which features 2 melting pots and one hot plate. Available in any number of combinations of number of pots, hotplate or no hotplate. 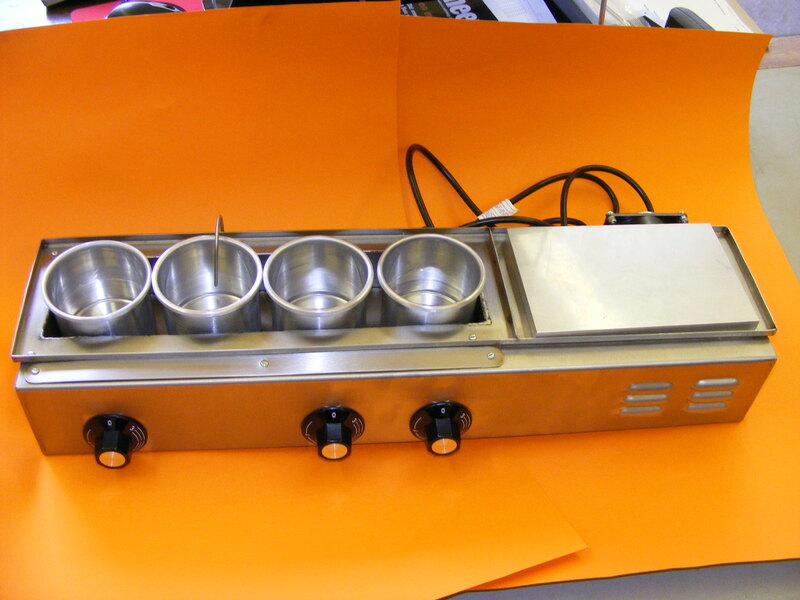 Feel free to call for more info on our wax pot melters.